Mercedes Benz, the luxury car manufacturer, is continuously exploring new opportunities. The company is focusing on future mobility solutions and innovating new ways of transporting people. 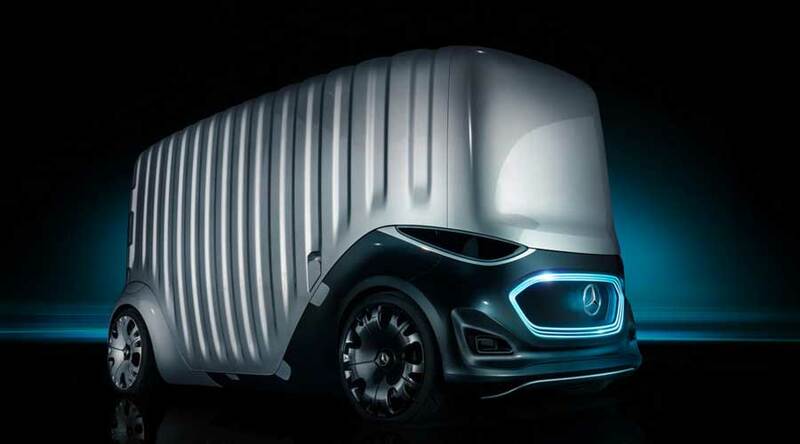 Mercedes Benz Vision Urbanetic is a new concept mobility solution, focusing on the movement of goods and people. This concept thinks beyond the current autonomous vehicles. The Vision Urbanetic concept blurs the lines between goods transport and passenger movement. The new concept involves efficient, on demand and sustainable movement of goods and people alike. This concept also reduces the stress on the intercity transport infrastructure. In addition, it also reduces the traffic congestion and adds to the quality of urban life. 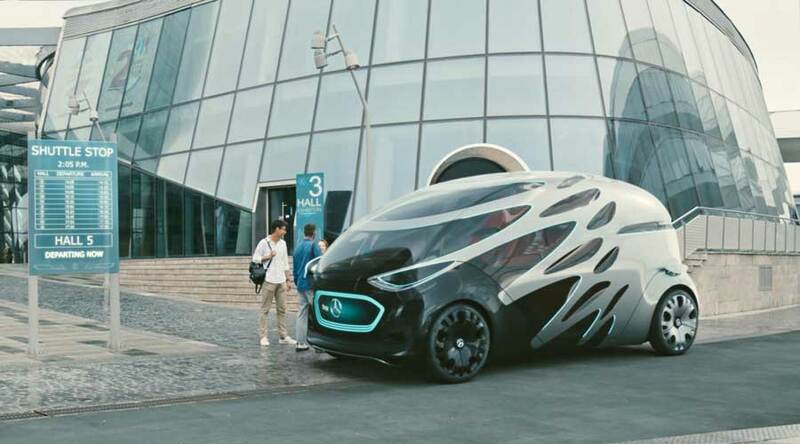 The self-driving, fully autonomous and electric chassis in Vision Urbanetic can combine different bodies which are switchable. Hence, it can be switched from the cargo mover to the people mover and vice-versa. So, it depends on the demand of a particular situation. The people mover body on Vision Urbanetic can carry twelve people at the same time. However, the cargo body serves as a classic transporter. The variable-load floor can be divided into two levels and can carry up-to 10 EPAL palettes. So, the system makes the maximum use of the available space. The all-electric drive in Vision Urbanetic produces zero local emissions. Hence, the use of this concept in zones with legal restrictions is highly possible. In city centers or in the 'no noise' zones, this concept will be more acceptable. In addition, the system will create very less noise pollution. Hence, night deliveries are easily possible. So, it also adds to the transportation efficiency in urban areas. The Vision Urbanetic is completely new mobility concept. The switchable modules increase the efficiency on demand. So, during rush hours, the fleet can be transformed into passenger transport vehicles. During other times, the fleet can be converted into cargo carriers. This immense flexibility increases the efficiency in the very sustainable way. Vision Urbanetic: Self-learning IT infrastructure. The Mercedes Benz Vision Urbantic concept comes with an intelligent and adaptable IT infrastructure. The concept will learn on its own and adapts itself for more efficiency. This includes the real-time route planning and adoption in accordance with transportation demands. The system also takes into account the real-time traffic and manages its route accordingly to save time and energy. In conclusion, Mercedes Benz has taken the future transportation to the next level beyond autonomy. So, we are very sure that the more sustainable transport infrastructure is coming. A Car That Runs On Water…Really?? Read This To Believe It….!! BMW Vision iNext Concept: your next favorite space.